Amazon has today launched a $79 version of its Kindle ebook reader alongside a $199 tablet device called the Kindle Fire, reports Bloomberg. This new $79 Kindle (non touch) weighs under 6oz and is 18% smaller than the former Kindle. This device lacks a physical keyboard but does still feature page turn and menu buttons as there is no touch on this Kindle, unlike the Kindle touch, also revealed today. 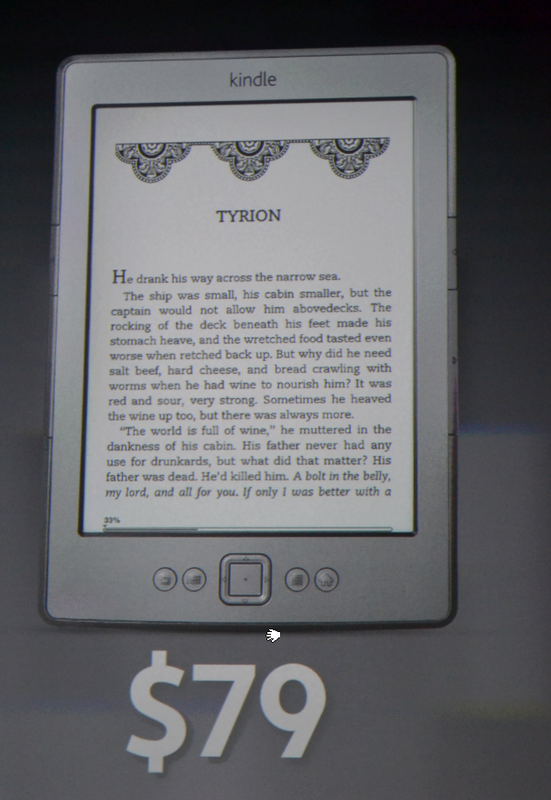 Display Amazon’s 6″ diagonal e-ink Pearl display at 600 x 800 pixel resolution at 167 ppi, 16-level gray scale. You can order your Kindle now at Amazon for $79.